Let me tell you a little story. Back in summer 2012, I spent all day, every day watching the Olympics. I became a little bit obsessed and it was almost like Ian Thorpe became my ever-present friend (albeit one who didn't know of my existence!). 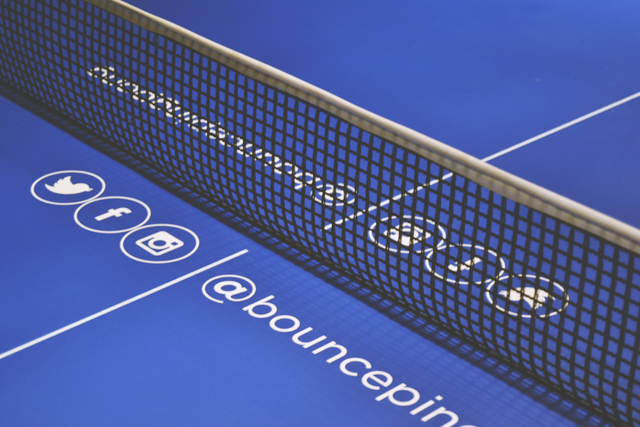 One of the sports I really got into was table tennis and through Twitter I discovered a ping pong club in London called Bounce. 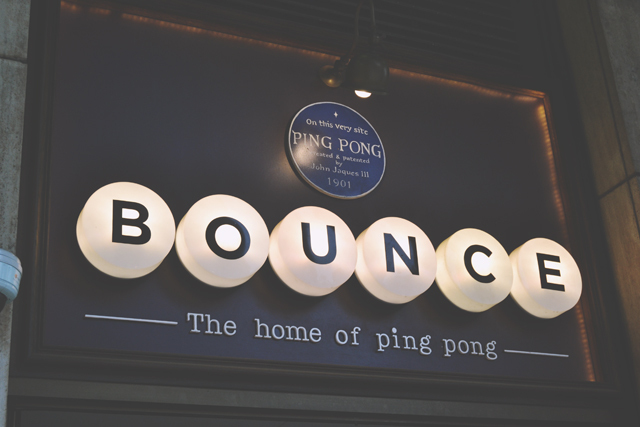 For almost 2 years now, I have been desperate to visit Bounce. So imagine how excited I was when I got an invite to preview the Rare London SS14 collection at the ping pong club of wonders. Pretty clothes and table tennis? Count me in! 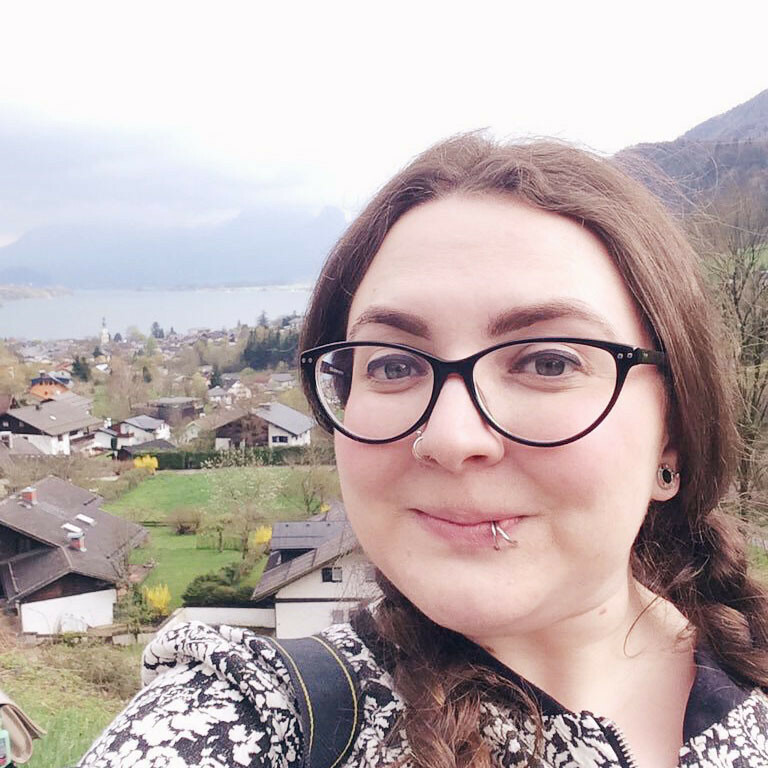 I met up with the lovely Becca of The Cinnamon Slipper, who I briefly met at the Voucher Codes Swap Shop Party in February. Luckily, she was every bit as fun and hilarious as she seemed back then, and she was the perfect ping pong partner-in-crime! I also met some other lovely bloggers such as Sam of Nashbag, Racquel Stewart and Jaydee of Jaydee Stone. When we walked into Bounce, I was astounded at the size of it. It's an underground lair of a bar, so I was expecting a small, intimate place but it's massive! There's also a really fun, exciting environment and apparently the real Olympic ping pong table is there (probably the one with the Olympic rings below), which is pretty awesome if you ask me! We were treated to a photography masterclass with Katie Blench, who had some really great tips and advice, as well as the greatest pink hair! The examples of work that she had in her portfolio were absolutely stunning. It was a nice touch to have a little something unique at the event. Of course, it goes without saying that the clothes were lovely! White lace dresses and pineapple-print playsuits in abundance. 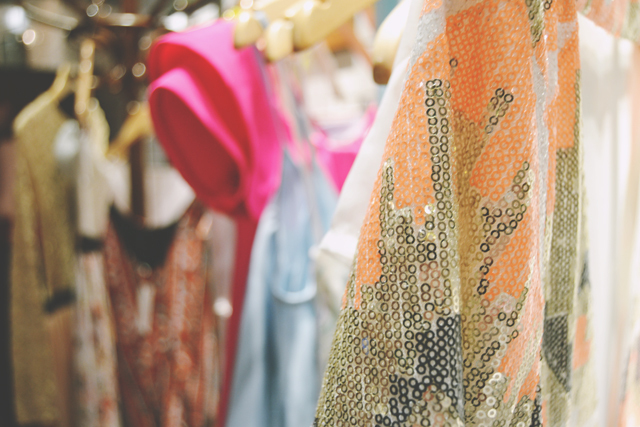 The colours are gorgeous and I love this little sequinned number! The Bounce staff kept us supplied with pizzas which were absolutely divine. 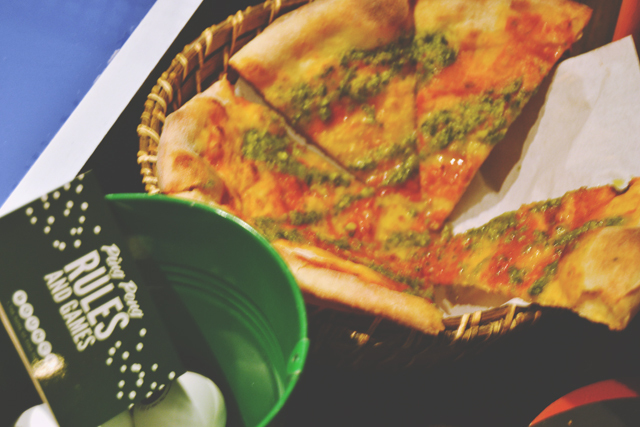 The pesto pizza was pretty much the greatest thing I have ever eaten in my life. I could probably eat it every day. 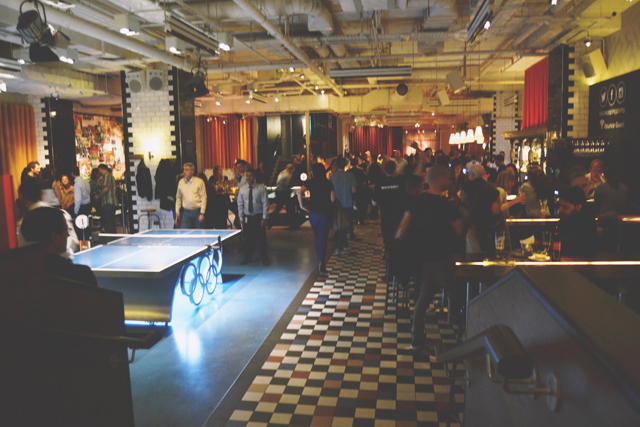 I'll be heading back again just for that pizza, let alone the ping pong! 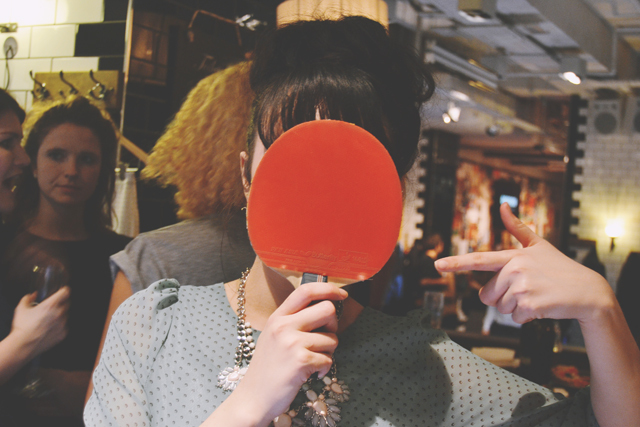 There was no way that I was leaving Bounce without playing ping pong, so we commandeered the table and went wild. It's safe to say we weren't very good! 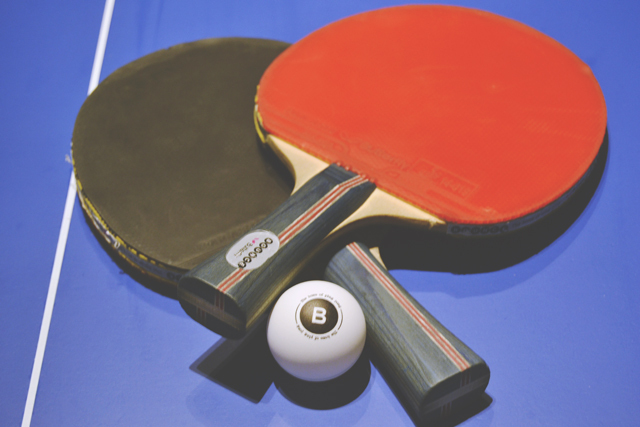 We played a few games of doubles (The Beckys vs Jaydee and Racquel), but the balls were hitting the ceiling and the floor more than the table or our bats. 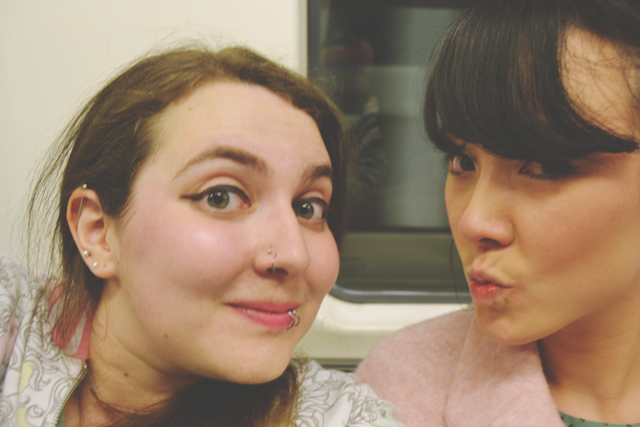 Since my phone battery was critical, I couldn't get a proper selfie so I improvised with a DSLR selfie on the tube. 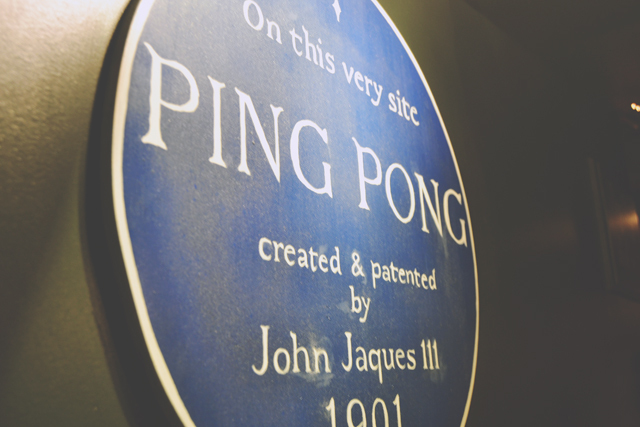 We were well and truly ping-ponged out! Huge thanks to Rare London and Bounce for such a fun, unusual blogging event. I had crazy amounts of fun, and I'm pretty sure I'll be dreaming about that pizza! Beckys should be in charge of the world! I'd be so down with that haha!